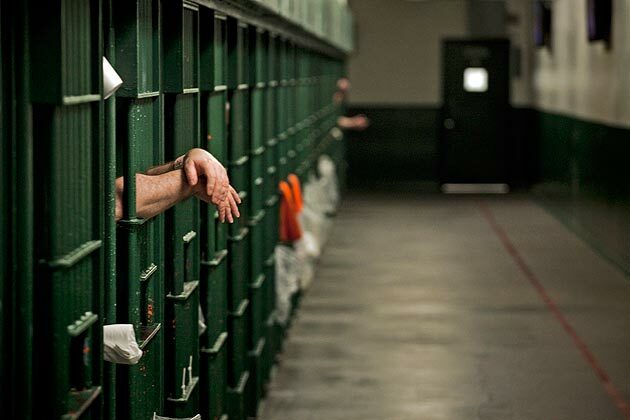 Los Angeles County Jails: Wrongful incarcerations occurred more than 1,480 times in the last five years. Los Angeles County Sheriff Lee Baca said Tuesday that he will create a task force to minimize the wrongful jailings of people mistaken for someone else. Baca’s move came in response to a Times investigation that found hundreds of people have been wrongly imprisoned in recent years, with some spending weeks behind bars before authorities realized their true identities. Baca said his task force to minimize the problem will probably be headed up by his detectives chief, a patrol commander and a jail captain. The wrongful incarcerations occurred more than 1,480 times in the last five years. Many of those mistakenly held inside the county’s lockups had the same names as suspects or had their identities stolen. L.A. County Supervisor Mark Ridley-Thomas called the jailings “a travesty of justice” and another blow to the sheriff’s jails, which are under federal investigation over allegations of inmate abuse and other deputy misconduct. The Times found that the jailings occur because of breakdowns not just by jail officials but by police who arrest the wrong people and by the courts, which have issued warrants that did not precisely identify the right suspects. Because multiple jurisdictions are involved, Baca said his task force would present its recommendations to other local police agencies, with the hope that they too would adopt the reforms. Once inmates arrive at the jail, officials there review the fingerprints again and compare the warrant to the personal information for the inmate. In California, people who are arrested are assigned a unique nine-digit number matched to their fingerprints. Some warrants issued by judges fail to include those identifiers, making it more difficult for police and jailers to determine whether they have the right suspect. When those fingerprint numbers are included, police agencies sometimes fail to determine why the arrested person has a different number or no number at all. In those cases, authorities could catch the error by obtaining the wanted suspect’s fingerprints from the state Department of Justice and comparing them with those of the person in custody. The number of mistaken identifications has been declining, and the cases make up just a tiny fraction of the population inside L.A. County lockups, the largest jail system in the nation. But for those who are jailed, the experience can be harrowing. In one case reported by The Times, a mechanic held for nine days in 1989 on a warrant meant for someone else was detained again 20 years later on the same warrant. He was jailed for more than a month the second time before the error was discovered. In a third case, a former construction worker mistaken for a wanted drug offender said another inmate pushed him to the floor in the showers, leaving him naked on the ground with back pain.